JULIAN OF NORWICH, HER SHOWING OF LOVE AND ITS CONTEXTS ©1997-2009 JULIA BOLTON HOLLOWAY || JULIAN OF NORWICH || SHOWING OF LOVE || HER TEXTS || HER SELF || ABOUT HER TEXTS || BEFORE JULIAN || HER CONTEMPORARIES || AFTER JULIAN || JULIAN IN OUR TIME || ST BIRGITTA OF SWEDEN || BIBLE AND WOMEN || EQUALLY IN GOD'S IMAGE || MIRROR OF SAINTS || BENEDICTINISM|| THE CLOISTER || ITS SCRIPTORIUM || AMHERST MANUSCRIPT || PRAYER|| CATALOGUE AND PORTFOLIO (HANDCRAFTS, BOOKS ) || BOOK REVIEWS || BIBLIOGRAPHY || © The British Library, Alexandra H. Olsen, Julia Bolton Holloway , 1996/2007. Apply to The British Library, Picture Library, 96 Euston Road, London NW1 2DB for reproduction of the Guthlac Roll Y.6l as theircopying from this Website is prohibited by them. Detail of Harleian Guthlac Roll Y.6 Image. By Permission of the British Library. Reproduction Prohibited. 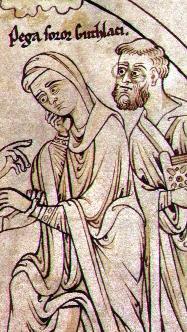 t Guthlac (d. 716) and St Pega (d. 719) were two early Anglo-Saxon saints, brother and sister like many famous saints (St Benedict of Nursia and St Scholastica, for example). 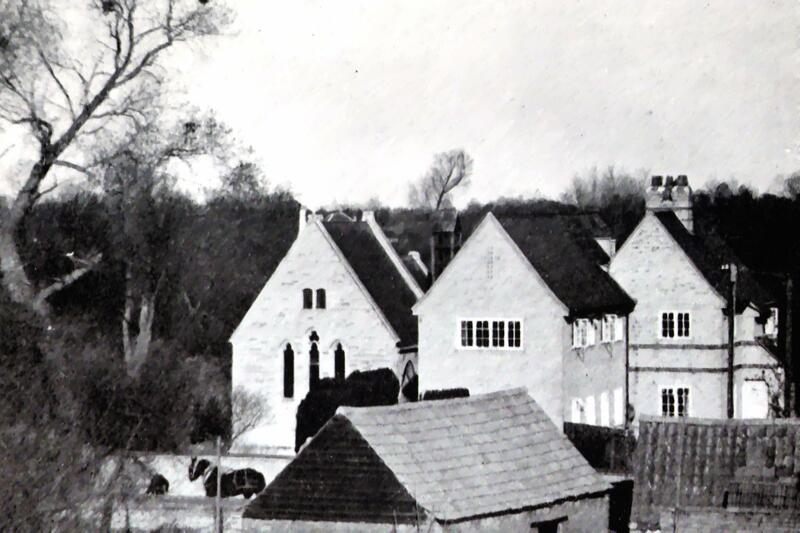 Manfred Görlach comments that Guthlac's cult existed in a "restricted area" (159) near Croyland Abbey, founded after Guthlac's death on the site of his hermitage. 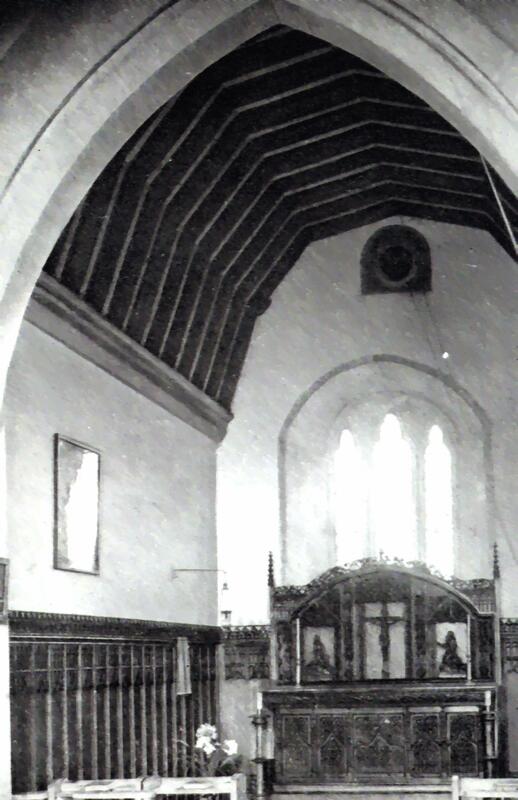 Nine churches still exist that are or formerly were dedicated to the saint, and St Pega's Church at Peakirk is dedicated to his sister. However, we know from Latin works that the story of Pega was still developing in the thirteenth century. There is an episode found in some late Latin works where the devil takes the form of Pega, who originally lived at Croyland with Guthlac, and tempts Guthlac to break his vow never to eat before sunset, with the result that Guthlac asks Pega to leave the island and never sees her again. This story is found in Matthew Paris' thirteenth-century Chronica Maiora and could have been known to thirteenth-century English writers because it is found in Cambridge manuscript ULC Dd.xi.78. This text relates that the devil "Pe3am simulans" (Bolton, 67) [imitating Pega] tempts Guthlac and that, as a result, brother and sister part. It would certainly have been possible to include a Life of St Pega in the South English Legendary . The legend of Guthlac continued to develop in Latin and English. The Legendary's version of the Life of Guthlac exists in only three manuscripts because, as Görlach says, the Legendary "is connected with areas outside the restricted area of the Guthlac cult" (159), and is in neither modern edition from EETS. This omission means that modern scholars only have a partial understanding of an important Anglo-Saxon saint and the development of his legend. 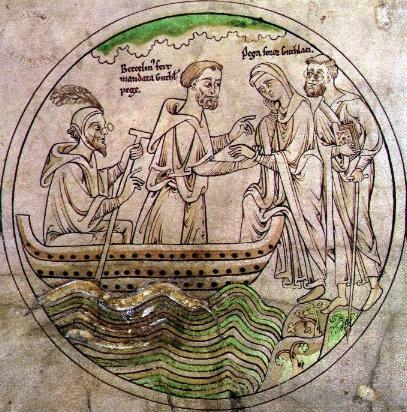 The South English Legendary lives of St Guthlac were edited by Whitney F. Bolton as his doctoral dissertation, which has never been published. The Guthlac material is also found in a rare German edition by Hans Forstmann. The three manuscripts that contain versions of the legend of St Guthlac are British Museum Cotton Junius D.ix (late fourteenth century), Corpus Christi College, Cambridge, 145 (end of fourteenth century to 1420), and Bodleian 779 (late fourteenth century to early fifteenth century). Their ultimate source is Felix's early eighth-century Vita Sancti Guthlaci. Görlach believes that "Felix's flowery, ambitious style is adapted to the tone of the SEL" (159). He cites "parallels in the wording" (159) including the phrase in Cotton Junius saying that when the devils drag Guthlac through the thorns " he nas noman ilich" (273) in contrast to Felix, who says they were "dilaceratis membrorum " (102-3) [tearing his limbs]. Another example occurs when Felix describes sunset on the day of Guthlac's birth: "priusquam luciflula solis astra occidus finibus vegeretur " (76-77) [before the sun's radiant glory had sunk in the western horizon]. The Legendary simply says, "ar the sonne 3ede to grounde" (Bolton, 184). The Cotton Junius version is the closest to Felix's Vita, but it is greatly abbreviated. Felix's fifty-odd pages of Latin prose become only 292 lines of Middle English verse, and the other two versions are even shorter (104 and 174 lines respectively). 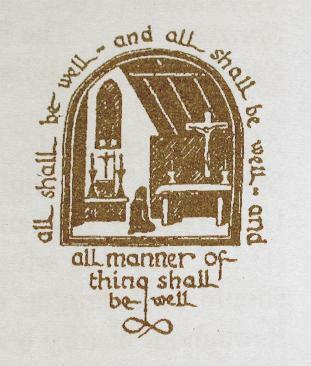 The Legendary version follows Felix's Vita, but it has some important differences as well, including that Felix's elaborate statement that Guthlac is a monk at Repton " bis denis bis binisque alternatium mensium circulis " (86-87) [four and twenty months] before deciding to become a hermit becomes "four and tuenti 3er " (Bolton, 29). Although Bolton feels that the three versions are so different that "they might almost be described as three poems on a similar theme, rather than three versions of a single poem" (175), all three share the substitution of years for months and other important features. The versions are actually remarkably similar until the end when they each abbreviate the account of Guthlac's death but do so in different ways. I should like to suggest that the versions of the Guthlac legend are so similar as to negate Bolton's suggestion that they are three different poems. I would also like to differ with Katharine G. McMahon's suggestion that the Legendary was "part of a southwest tradition of literature" (19) that was written. Bolton, in fact, notes that all the versions include "formulaic tags" (178), which have been shown to be a sign of oral transmission. The Cotton Junius poet gives a clear indication that his work was intended for oral presentation because he twice addresses his audience: "jch wene so wolde ech of 3ou þat hadde ibe wit him þere" and " for God þer nis non of 3ou " (Bolton, 189). I believe that the three versions of the Guthlac material show the signs of oral transmission and that they are the type of work whose source was literate and Latin but which was composed orally in the vernacular. 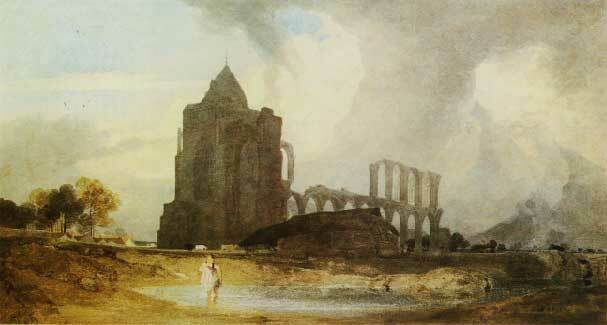 The work is thus part of the complex and rich interaction between Latin and English cultures. The Legendary versions of the Life of Guthlac translate Felix's Latin prose--a precise written source--as rhymed verse of the kind that suggests oral transmission. The rhymes are the same in all three versions when the material is the same, but the lines often vary in an unpredictable way. The passage quoted above about the miracle at Guthlac's birth has identical rhyming words in all three texts, allowing for differences of dialect: "hey " and "ysey" and "was" and " cas". However, the Cotton Junius manuscript has omitted "was ," and an editor has to supply it to "complete ... both the rhyme and sense" (Bolton, 197). The rhymes are what William A. Quinn and Audley S. Hall call "systematic" and "predictable," part of a "preestablished rhyming vocabulary" (8) that allowed the work to be composed and transmitted orally. However, the lines themselves vary in a way consonant with oral rather than written composition. A formulaic tag ends the first line of the passage; Cotton Junius says "as þat folc ysey " (Bolton, 184) and Corpus Christi College " alle volk hi sey3" (Bolton, 221). However, Bodleian says "bare as þat folk jsey3 " (Bolton, 210). The addition of "bare " is the type of substitution seldom made by literate poets, who seek le mot juste, and "bare" adds no essential information to the line and also adds a thirteenth syllable to the twelve-syllable line. It is the kind of substitution that suggests that this poem was a reconstruction of some original version made by a poet trained in the techniques of oral-formulaic composition. It is intriguing that Bodleian is the latest manuscript, because words tend to get added to lines in late versions of poems. If we assume that Cotton Junius is closest to the original poem because it is closest to Felix, it is interesting that the other versions frequently add words to the lines. For example, Cotton Junius tells us that the red hand returns to Heaven after it miraculously announces Guthlac's birth: " suþþe fley op a3en" (10). In Bodleian, the hand "suþþe fley vp an hy ," and "hy" adds no essential information to the line. Corpus Christi College provides a third variant of the line, "and anon vly3 up a3eyn " (Bolton, 221), and the substitution of "anon " for "suþþe " does not mean that the three versions are separate poems. All three lines convey the same information, but in slightly different ways. A proper appreciation of Guthlac's cult and his place in English history depends on knowledge of these texts. Klaus Janofsky suggests that the author of the Legendary "wants his audience to see and feel what the Christian Life should be like and that it is worthwhile. ... He provides a subtle ... answer to the great question ... How to live? (77)." The Life of Guthlac provides such an answer. Atwater, Donald. The Penguin Dictionary of Saints. Baltimore: Penguin, 1965. Bolton, Whitney F., "The Middle English and Latin Poems of Saint Guthlac." Diss. : Princeton, 1954. Colgrave, Bertram. Felix's Life of Saint Guthlac. Cambridge: Cambridge UP, 1956. Forstmann, Hans. Untersuchungen zur Guthlac-Legende. Bonner Beiträge aur Anglistik, 12 (1902). Görlach, Manfred. The Textual Tradition of the South English Legendary . Leeds: U of Leeds, 1974. Horstmann, Carl, ed. The Early South English Legendary. EETS 87. London: Trübner, 1887. Jankofsky, Klaus P., ed. "Personalized Didacticism: The Interplay of Narrator and Subject Matter in the South English Legendary." Texas A & I University Studies 10 (1977): 69-77. Olsen, Alexandra H. Guthlac of Croyland: A Study of Heroic Hagiography . Washington: University Press of America, 1981. Matthew Paris. Chronica majora. Ed. Henry Richards Luard. Rolls Series 57 (1872). McMahon, Katherine G. "St. Scholastica - Not a Wife!" In Jankofsky, The South English Legendary: A Critical Assessment. Tübingen: Francke, 1992. Pp. 18-28. Quinn, William A. and Audley S. Hall. Jongleur: A Modified Theory of Oral Improvisation and its Effects on the Performance and Transmission of Middle English Romance. Washington: UP of America, 1982. 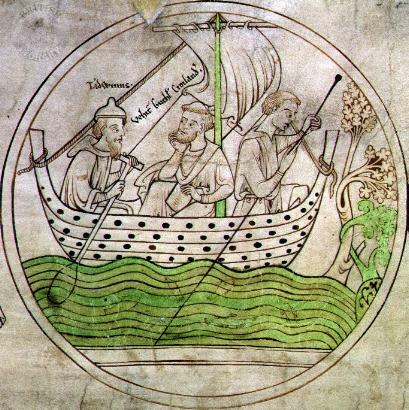 Guthlac Arriving at Croyland. Harleian Guthlac Roll Y.6. By Permission of The British Library. Reproduction Prohibited. 'Pega soror Guthlaci' Having to Leave Croyland. (A later scribbler adds spectacles to Guthlac and to the boatman, to whom he also awards a feather for his coif.) Harleian Guthlac Roll Y.6. By Permission of The British Library. Reproduction Prohibited.